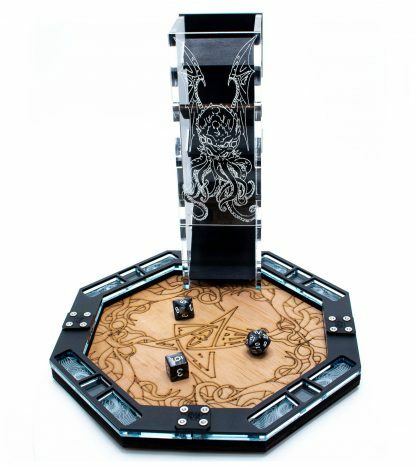 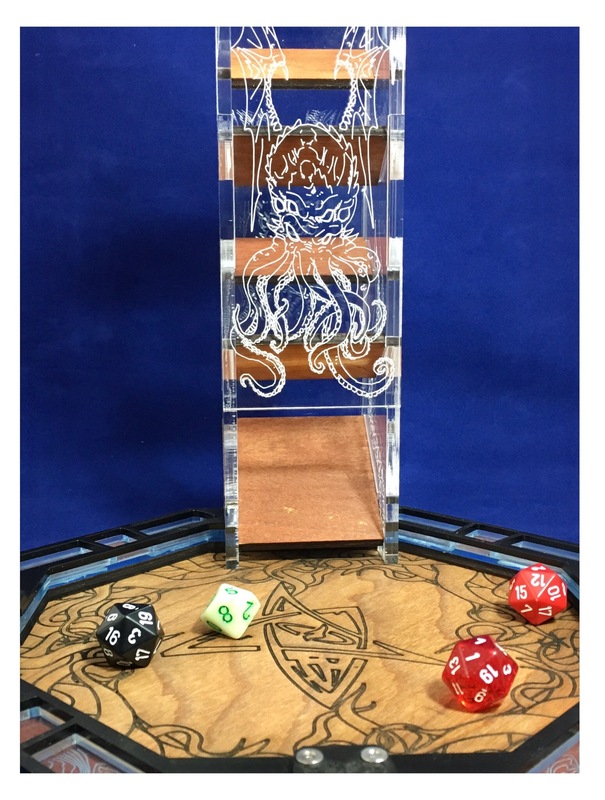 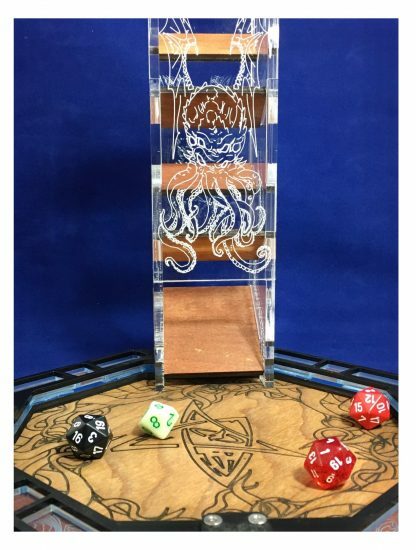 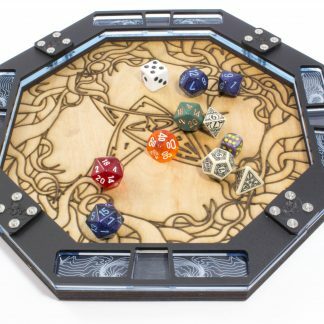 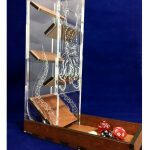 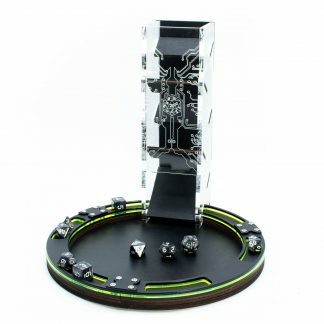 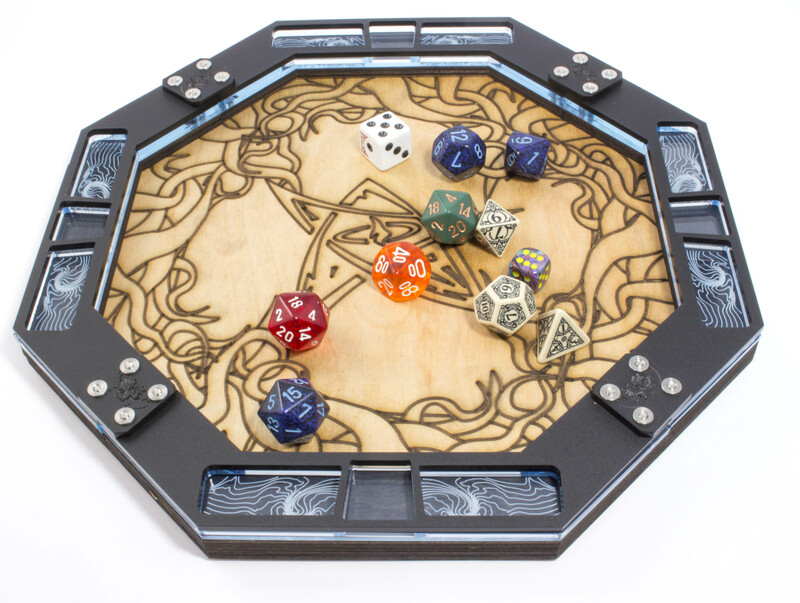 Acrylic and wood base dice tray with laser etched eldritch design. 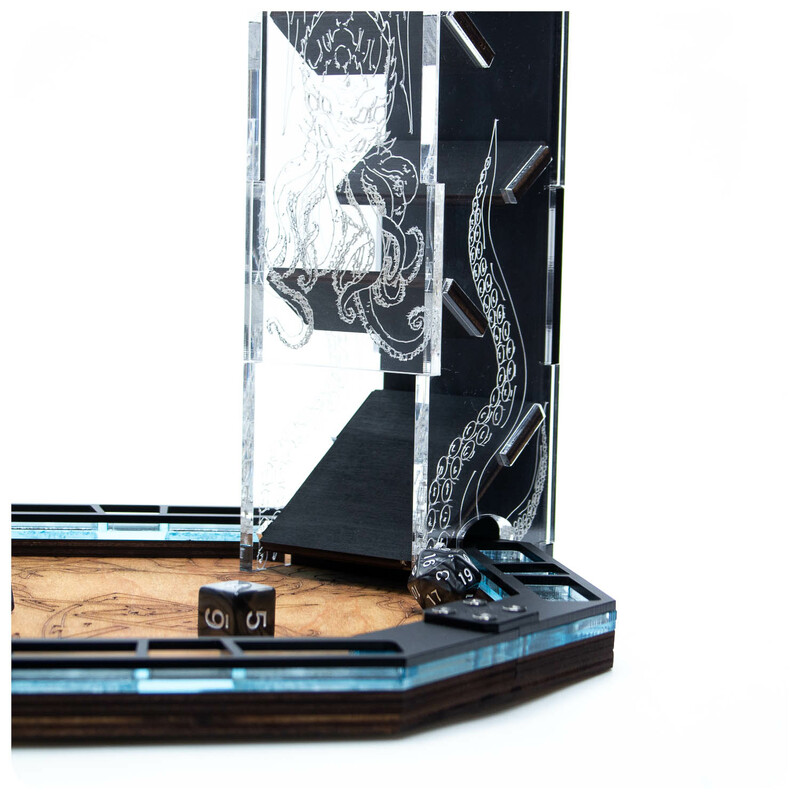 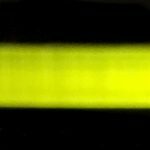 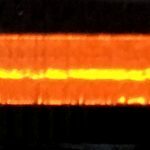 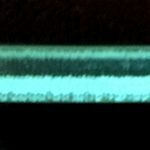 Constructed with layers of matte black and edgelight acrylic. 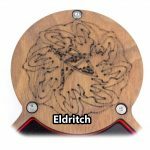 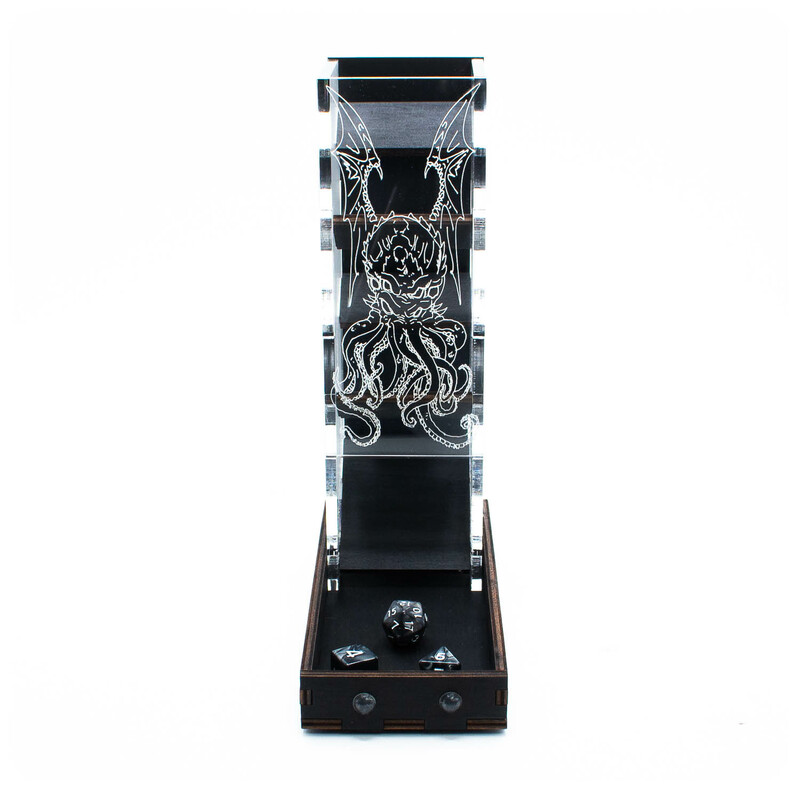 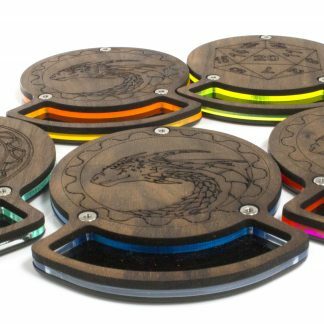 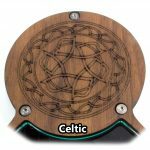 Laser etched Cthulhu design with wood paddles and matching tray. 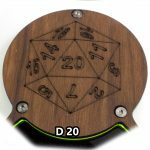 Walnut top dice coaster. 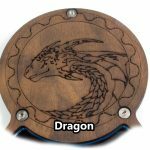 Available in 4 designs and 5 colors.